We are only half way through January and 2019 has already given us a significant global corporate campaign to discuss. 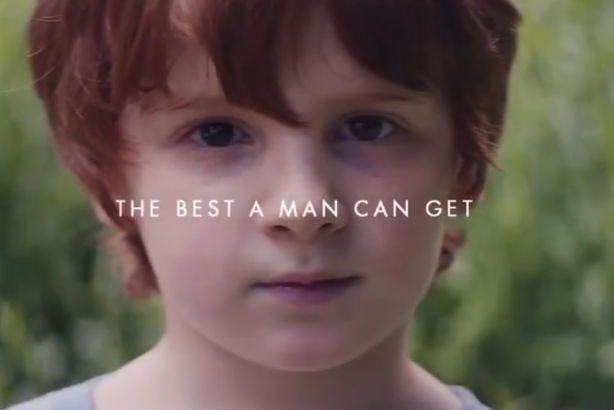 In 2017 we had the disastrous Pepsi effort featuring Kendall Jenner; 2018 brought Nike’s 30th anniversary of the ‘Just Do It’ campaign, featuring Colin Kaepernick; and this new year brings ‘The best men can be’ from Gillette, which addresses the hot topic (thanks to the #MeToo movement) of ‘toxic masculinity’. The campaign from Gillette North America - made by Grey New York, with PR support from Ketchum – broke a week ago and is that classic contemporary campaign: social purpose at the core; based around an online film; relying little on bought media but instead heavily on controversy that drives earned and shared reach. In terms of the first, crucial objective – cutting through the clutter– it has already triumphed, by quickly generating gazillions of online shares and social media comment. The inevitable ‘backlash’ was exemplified in this country by Piers Morgan (a man who would be best advised to front a campaign by Marmite). Our Piers accused the campaign of ‘man hating’, and announcing his intention to boycott the brand as a result. Intrigued, I decided both to study the film and to post it on my social media channels to gauge the opinion of my modest network, only to be taken aback by the response. Rarely can I remember a campaign to so immediately polarise opinion. Roughly half the respondents judged it to be ill-advised. The more extreme took the Piers Morgan stance, offended by Gillette’s apparent attempt to tar the bulk of men with the same (shaving) brush. Was Procter & Gamble’s monopolistic razor firm really accusing most men of being macho harassers and potential rapists? Even those who didn’t go that far thought the campaign hypocritical (after all Gillette has used macho stereotypes to flow its products for decades) and at the very least ‘preachy’ and ‘unfocused’, with a ‘clunky’ execution. However just as many people, and almost all of the female respondents, defended the campaign, applauding its ‘good message’ that boys should be brought up to be kinder, less macho, and with healthier attitudes towards women. Some were inspired at this big corporation’s attempt to challenge society’s ‘entrenched patriarchy’. The most difficult question, I think - something with which many of my network were grappling - was whether Gillette has the right, or the credibility, to campaign on such an issue. But the same question mark hangs over most big corporate campaigns these days, from Unilever’s acclaimed Campaign for Real Beauty, through to Iceland’s recent crusade against plastics and palm oil. My view is that any corporation exists primarily to make money and that corporates sticking their head above the parapet should indeed by held firmly to account for their positions and claims, BUT that these attempts to make the world a better place are generally to be admired, particularly at a time when many politicians seem to be achieving the opposite. That said, Gillette is on thinner ice than most; with little pedigree in sustainability or social purpose initiatives – and, as previously mentioned, a clichéd advertising approach until recently. And I suspect like many men, I have always resented the price of Gillette razors, which seems steep for something amounting to two or three sharp blades mounted in a small plastic mould. Still, this campaign is a move in the right direction. And what of the execution? I.e. ‘Is the ad any good’? Well, Gillette’s first film is not exactly up to Nike’s ‘Kaepernick’ standards. It’s a bit of a mish-mash of vignettes and clips, some of which are powerful, some just plain confusing. Many of the US TV clips will leave non-Americans nonplussed. My favourite scene was the guy who stops his friend from following a girl he likes the look of, by standing in his path and saying ‘no, not cool’. The film itself is unlikely to win many awards for creativity or craft, but I guess it’s a toe in the water for Gillette, with further executions planned. As for the PR support, so far so good. Unlike Pepsi in 2017 (which pulled its Kendall Jenner effort within 24 hours of the backlash) the brand has so far stood firm. Julia LaFeldt, communications manager for Gillette North America, said she expected the campaign to start conversations and the comms team was focusing on the positive dialogue it has ignited, rather than the negative – a sensible response. "There is less of a focus of highlighting toxic masculinity and more about inspiring men to take more action and set the best example for the next generation," said LaFeldt. P&G’s VP for global comms, Damon Jones, has also tweeted a statement of firm support. So can we judge ‘The Best Men Can Be’ to have truly shaken the world? It is still early days for this global campaign. Its success very much hangs in the balance. We will watch closely as to whether Gillette perseveres, develops and tweaks the drive, which so far has probably required very little investment. Or whether, like many polarising campaigns in the past, it is very gradually and quietly dropped. Does the new Dove breastfeeding campaign show the value of not taking a stance?